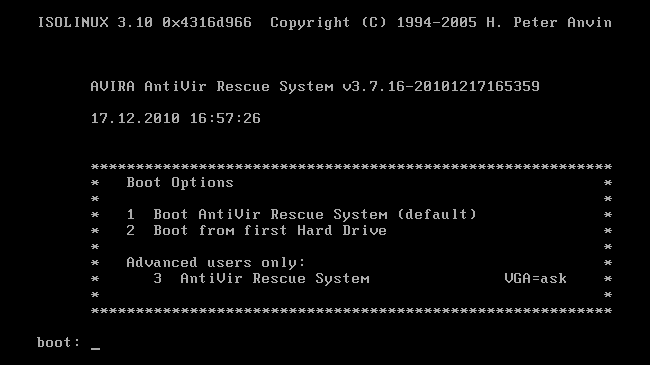 When you’ve got a PC completely infected with viruses, sometimes it’s best to reboot into a rescue disc and run a full virus scan from there. 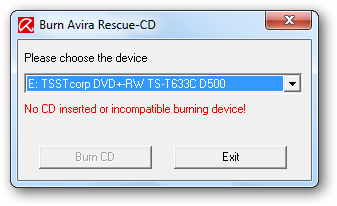 Here’s how to use the Avira Rescue CD to clean an infected PC. Otherwise, keep reading for how it all works with Avira, a well-respected anti-virus solution. 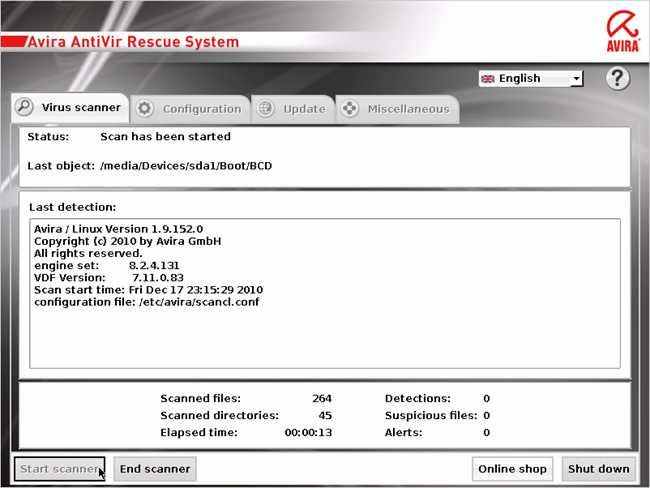 The first thing you’ll need to do is head over to the Avira site and download the latest version of their rescue CD—there are .exe and .ISO versions of the rescue CD available. If you download the .exe version of the Rescue CD, you can actually use it to directly burn the image to a disk without any other software required. Just download, open it up, and then stick a disc into the drive. 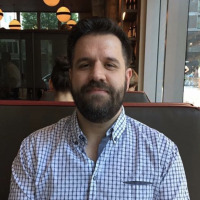 If you have any problems with the integrated burning application, you can download the ISO instead and then use an application to burn that ISO image file to an optical disc—we prefer using ImgBurn, but there’s plenty of ways to burn an ISO to a disc. Once you’ve rebooted and put the CD in the drive, you’ll see a menu that lets you boot from the rescue system, or boot from the drive. 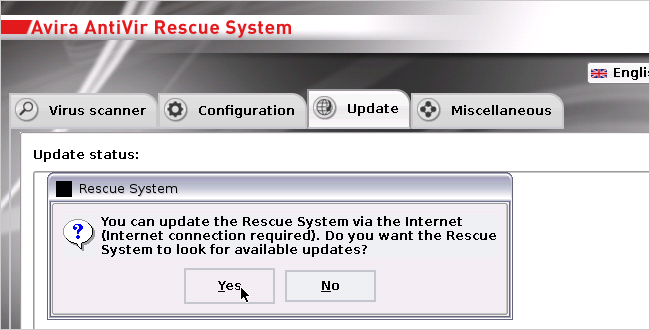 If you don’t select anything, it’ll automatically boot into the rescue CD. The first thing you’ll want to do is switch to the Update tab, and then choose Yes to apply the latest updates. Now switch back over to the Virus scanner tab and click the Start Scanner button—it’ll take a long time, but it should clean up your PC. It’s as simple as that. Enjoy your virus-free PC.